So if you are looking to simplify the user login experience to the company intranet or just put your public website on www.example.com, this video shows how easy it really is. Just remember, this is the method for Google Apps, not for your typical Gmail account. I recommend using Google Apps anyways because it is free for up to 10 users and you get a lot more hosting space. 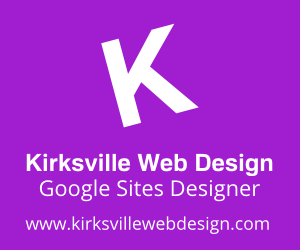 You can a public Google Site to your own custom domain. Google Sites are easy to update and create, but normally the link to the Google Site looks something like this - that's a long URL to enter. You can easily setup your Google Site with a custom URL, like www.yourdomain.com, or even dashboard.yourdomain.com. To make a Google Site available from a custom URL, you need to add the web address in your Google Apps control panel. And then make a change to your DNS Settings with your domain host. Just make sure that the Google Site you are using has its privacy settings set to public, or the user will be redirected to the long URL. So, let's get started. First, open your Google Apps Control Panel and go to settings. From here click Sites under services. Then web address mapping and add a new web address. You'll need the name of the Site you want to add. In this example the site is called dashboard. So, we'll enter that here. Now you need to put in the sub domain you'll use for this site. This could be www or really anything you'd like. It doesn't have to match the name of the site as it is entered here, but in this case we'll use dashboard as the sub domain. When you have that entered in click "Save Changes"
Some instruction for completing the process will appear. Pay close attention to the instructions because they may be different than what we do here. In this example we need to go to GoDaddy, which is our domain host provider, and create a CName record called dashboard and set its destination to ghs.google.com. So I'll open a new tab in my browser, and log into my domain host. Just remember you'll need to use the domain host provider for your domain. Refer to your domain host provider's documentation to make the changes to your DNS Settings. The tool may look different depending on your domain host provider, but in general you need to create a CName record or domain alias host name for the sub domain. In this example, it's dashboard, then have it point to ghs.google.com. Save your new record and you're done. Just be aware that it may take up to 48 hours for these changes to take effect. But once the changes are made, you should be able to enter the new custom URL and be redirected to your Google Site. I appreciate the Google new concept and new strategy technique releasing for community objective. this is very useful content for me. You posted editorial URL Forward for Google Sites Video Tutorial which gives users bunch of information concerning meticulous subject recognition for this allocate. I would consider hiring a company like Myriad Interactive Media Inc.
A very useful blog I like the new concept. Very nice information.This post is very useful for me.Thanks a lot for sharing this information with us and I hope I will get more posts from you like this. The tips are really helpful. I am really comfortable with the idea of refreshing the sites for success. A great guide and help for the ones who are new to google webmaster. Thanks a lot for this share. This video really so informative, and your site so helpful and informative. thank to share all informative post.